Born in the Causasus in 1918, Marika came to Athens around the end of 1947, where she appeared as part of a nightspot act, doing acrobatic turns with her husband and small son. In October 1948 Stellakis Perpiniadis engaged her to sing with him at the 'Florida' on Leoforos Alexandras.She next appeared with Vasilis Tsitsanis at 'Fat Jimmy's. Her singing career continued as she made 78 r.p.m. recordings with composers including Tsitsanis, Manolis Hiotis, Yannis Papaioanou,Yorgos Mitsakis, Apostolas Kaldaras and others. 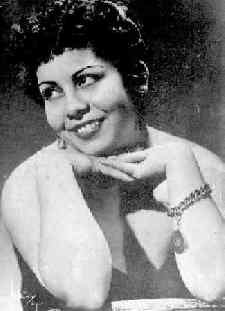 Her partnership with Tsitsanis was the most enduring and produced some of her most memorable songs. In 1955 she went to the USA to appear with Kostas Kaplanis. She returned to Athens, already suffering from cancer, and died at the tragically young age of 38 in 1956.